What should I know about European car insurance? The standard cover for driving in Europe provided by many insurers is often the most basic third party cover, so make sure to check with your provider first to see what level of cover you have, and to make sure they know when you're going to be heading there so they can issue your green card. If you have a car that's expensive to repair you may want to consider upping your level of cover from the standard third party. Your insurer may charge you for this but without additional cover, if you're involved in an accident that's your fault or where the fault is unknown, you won't be able to make a claim for repairs needed to your car. Some insurers offer European car insurance as an optional extra when taking out a policy. When it comes to getting a quote through Confused.com, once you have your list of prices, click on the 'About Provider' button next to each provider to see whether they include EU cover or a green card. 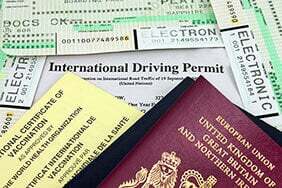 A green card is issued to you by your insurer for use whilst driving abroad. It's a motor insurance certificate valid in Europe that can help making a claim or exchanging details with another driver or the local police whilst abroad, easier. Make sure to keep it safe with your other travel documents as it proves your car is insured. As well as standard policies, it's possible to drive in Europe on a temporary policy. With short term insurance arranged through Confused.com it's possible to get cover for 1-28 days arranged instantly, so whether you fancy a week in the south of France or a quick weekend away to Germany, you'll be covered on a temporary policy. To get a quote for temporary insurance, head to our temporary insurance page which has lots of information about short term policies and what they offer. 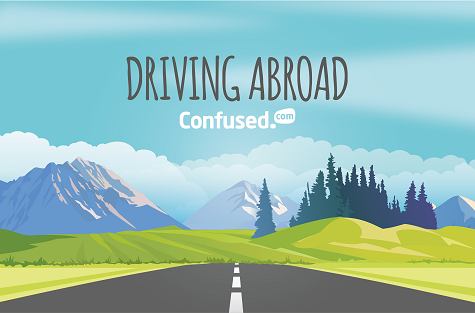 What else should I know about driving in Europe? Apart from remembering to drive on the opposite side of the road, it's worth reading up on the road rules including speed limits and drink drive limits for your destination so you don't fall foul of the law or end up in an accident. Many countries require you to carry certain things in your car or modify it for driving abroad. In France for example it's compulsory to carry a warning triangle, reflective jacket and alter headlamps so they don't dazzle oncoming drivers. The AA have produced a helpful guide displaying the EU driving requirements for many countries. If your number plate isn't in the new EU style that shows which member state the car was registered in, you're required to attach a GB sticker to your car. For more information, here's what you need to know before hitting the road. European breakdown cover isn't a legal requirement, but it could help you if you run into problems with your car when driving around Europe. Without cover in place, you could end up with a costly bill for recovery. How much do you spend each month on those little bits and bobs? Our UK living cost calculator can help you find out.